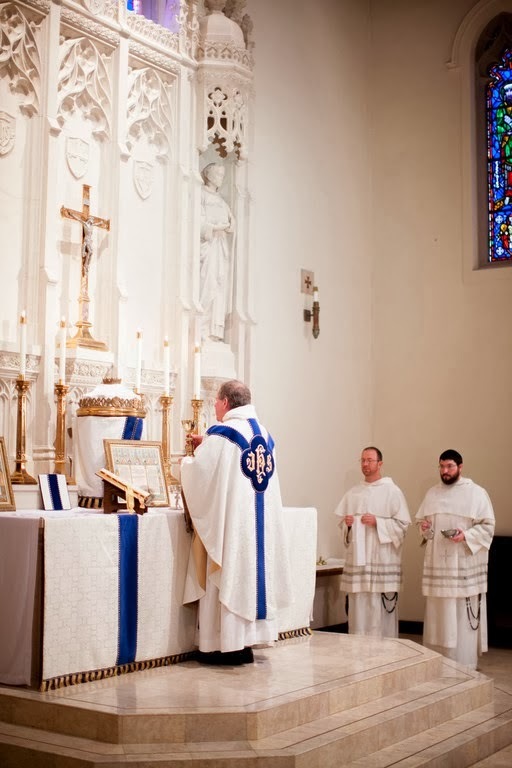 A Dominican Rite Missa Cantata celebrating the First Saturday of May will sung by the student friars of the Western Dominican Province on Saturday, May 7. The Mass will be at Saint Albert the Great Priory, 6172 Chabot Road, Oakland CA, 94618, at 10:00 a.m. The Mass will be a Votive of the Immaculate Heart of Mary. Visitors and guests are welcome; pew booklets with the text of Mass in Latin and English will be provided. There is ample parking on the street and in the priory parking lot next to the chapel.